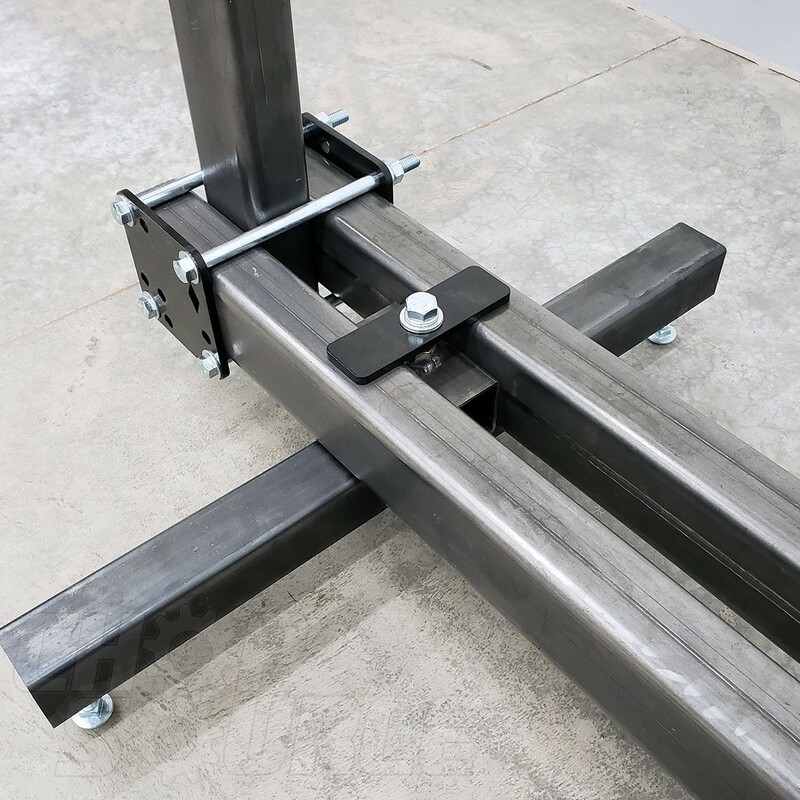 Feet to level your frame jig. 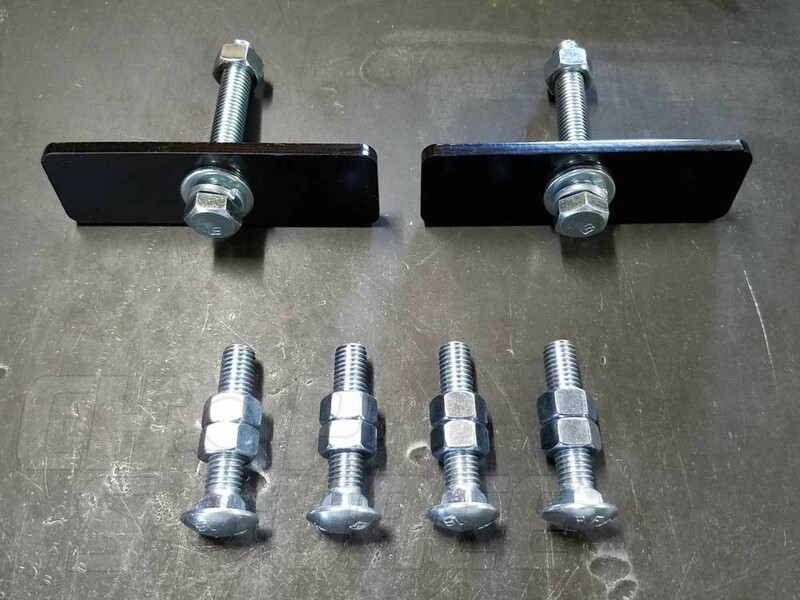 Includes two clamps, four carriage bolts, and hardware. You'll need 40 to 48 inches of 2"x2" or 2"x3" tubing to make the feet for your jig. 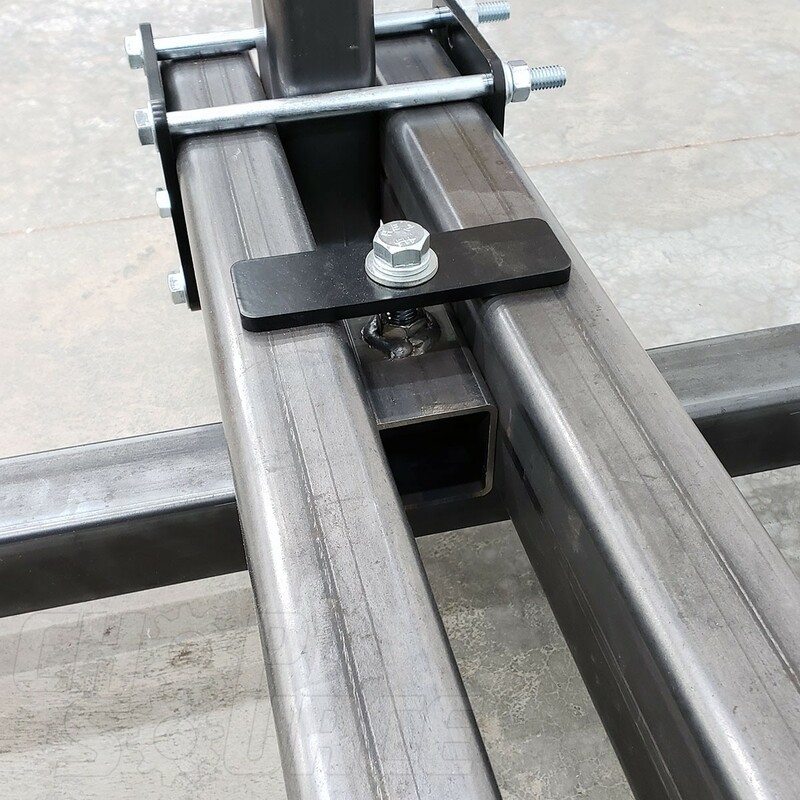 Requires drilling six holes and welding nuts to the tubing. The clamp plates for the frame jig feet are powder coated black. Used these feet to level up my jig on a large welding table at my shop. Table isn't perfectly level but these adjustable feet made quick work of my jig setup.